Large “Double Crown”-sized sheets of artists handmade paper for craft and art work or use as handmade gift paper; made from Lokta bush bark in Nepal. 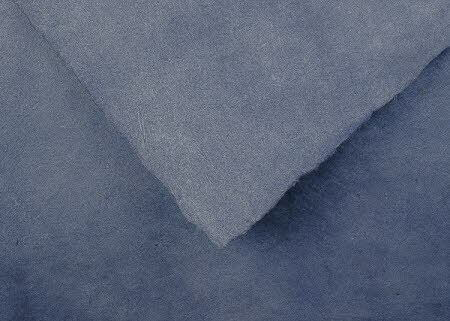 Be inspired by these large sheets of smooth and textured hand made paper, with beautiful deckled edges, for your crafts & artwork. 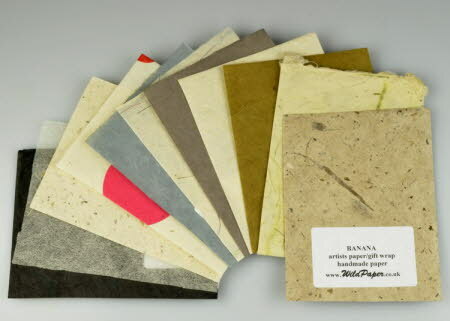 4 New artist papers - Indigo, Storm, Walnut, Thin Banana & Long Fibre! 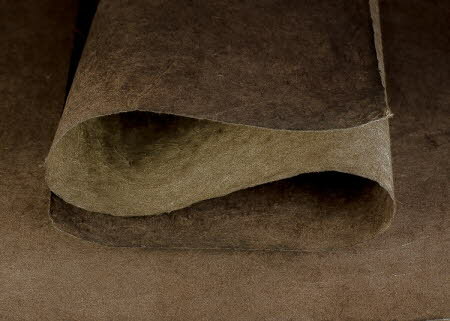 Learn more about handmade Artists’ paper & Long Fibre paper. Click on the photos of hand made artists’ paper below for more info! Long-Fibre paper - click on a photo for a larger view. Buy handmade lokta wrapping paper posted rolled in a tube for special presents, wrapping handmade soap, jewellery & craft projects! Looking for a mixed pack of gift wrap papers or unsure which to choose - Buy one of our popular gift wrap packs. For a really special handmade gift wrapping, buy our luxurious gold, silver & screen-print handmade papers! 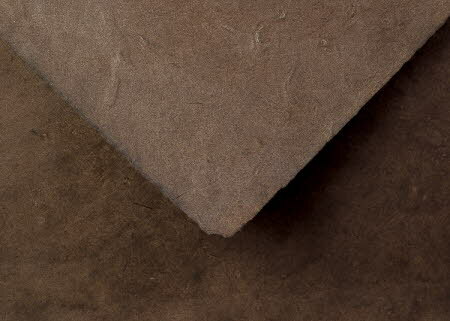 Our artists’ paper is handmade in Nepal from the bark of the Lokta bush, Daphne papyracea, and is suitable for use by artists and crafts people as well as a beautiful and romantic gift wrap paper for presents. 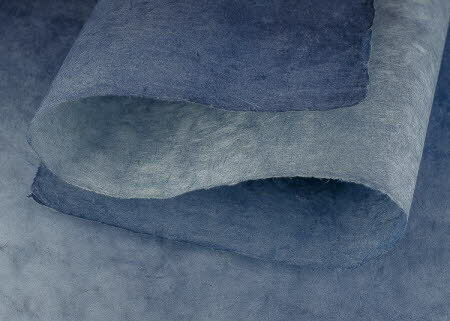 These medium-weight paper sheets are made from natural sustainable plant products. They are suitable for a variety of painting techniques as well as for decorative paper crafts, including card making and collages, and for covering books and photograph frames. The fibre structure makes this paper suitable for printmaking or batik, as well as for calligraphy, woodcut, linocut and silk screen printing. Some artists and folders use these large sheets of lokta paper for larger pieces of origami.